Raw Diamond Engagement ring using Three Uncut Rough Diamonds with raw blue diamond accent stones set in Gold. This ring comes with a matching wedding band. Hand sculpted Twig Bridal Ring, hand sculpted, a one-of-a-kind 3 stone engagement ring or 3 stone mothers ring. 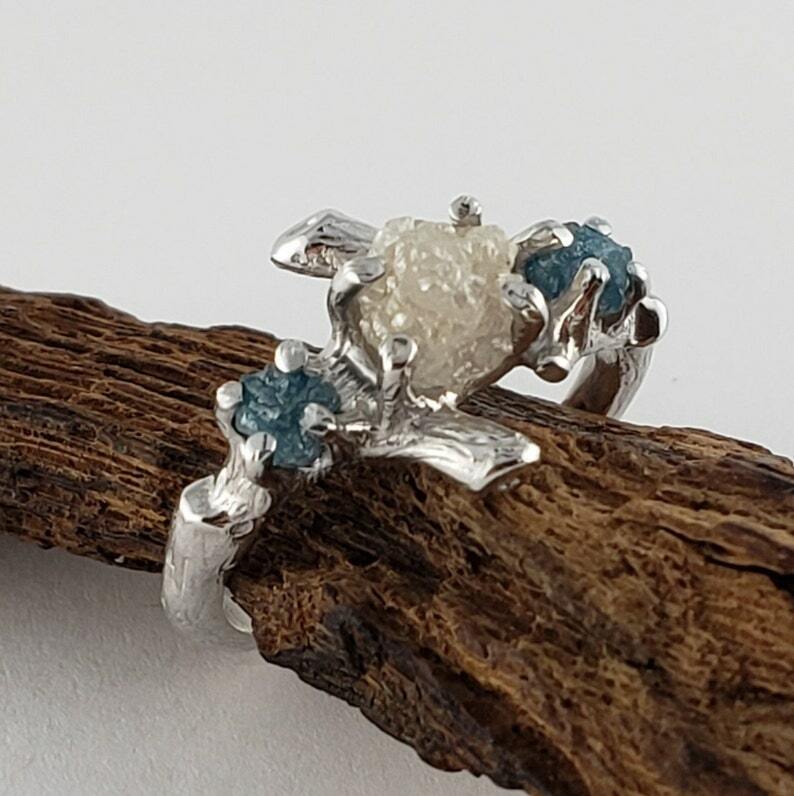 I wanted to create a beautiful yet elegant 3 Diamond Twig Bridal Set using Rough Uncut Diamonds, so I sculpted the center branch to focus on the diamond and then added two smaller diamonds on each side. ● Diamonds: Premium Rough 1.3ct - 1.6ct diamonds are available for this ring and .24ct - .26ct each for the smaller blue diamonds. ● Both Bands together at the bottom is 3.7mm wide.